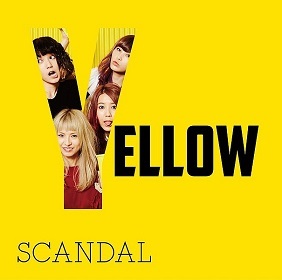 7th album from all-female Japanese pop-rock band SCANDAL. This album is full of energetic and upbeat song, so all songs become more familiar for their western audience. 13 songs from this album are written entirely by the band members, mostly by Sasazaki Mami. This album includes Sisters which was released as a single in September 2015, the power ballad Chisana Honoo (theme from the Hello World documentary film), and the English version of Your Song (originally from Hello World). This album avaliable in 3 format : Regular Edition, Limited Edition, and Complete Production. Limited edition has DVD with YELLOW OPENING MOVIE “Room No.7” and YELLOW OPENING MOVIE “Room No.7” ~Making Clip~. 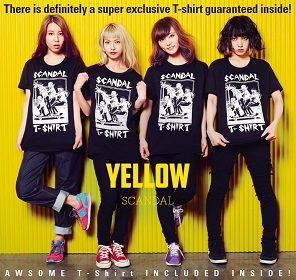 And Complete Production has limited original "Yellow" T-shirt.